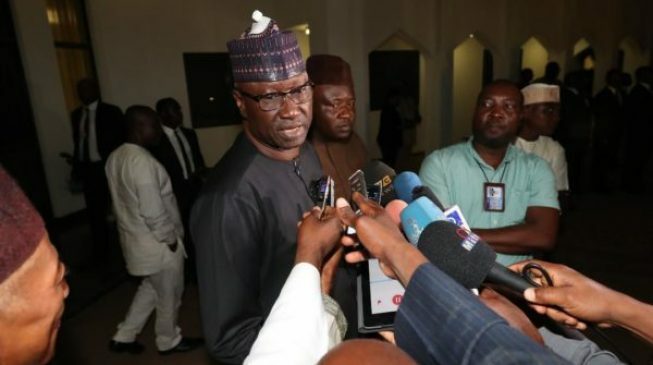 Boss Mustapha, secretary to the government of the federation (SGF), has called on All Progressives Congress (APC) members to bury their differences and work for the success of the party in the 2019 general election. Mustapha made the appeal at the end of the two days APC north-east zonal meeting in Bauchi on Sunday. “We have to work towards successful outing in forthcoming general election, so we have to forgive and forget,” he said. The SGF noted that the reconciliation committee set up by the national body of the APC would be the best solution to solve all the crisis bedevilling the party. Represented by Garba Abare, the director-general, National Orientation Agency (NOA), he said the setting up of the committee came at a right time when the 2019 general election is approaching.